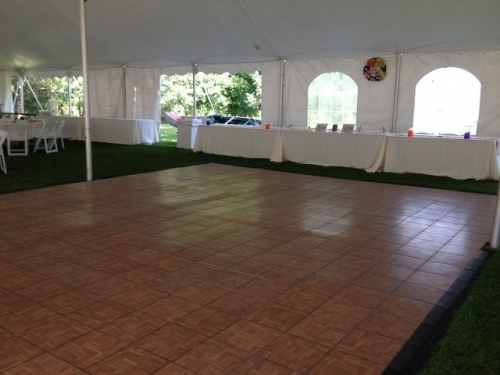 Our Teak dance floor is a traditional style dance floor that looks amazing inside or out. Regardless of your event, your guests are sure to have a great time dancing on this floor! Allow approximately 3 square feet of dance floor per guest.